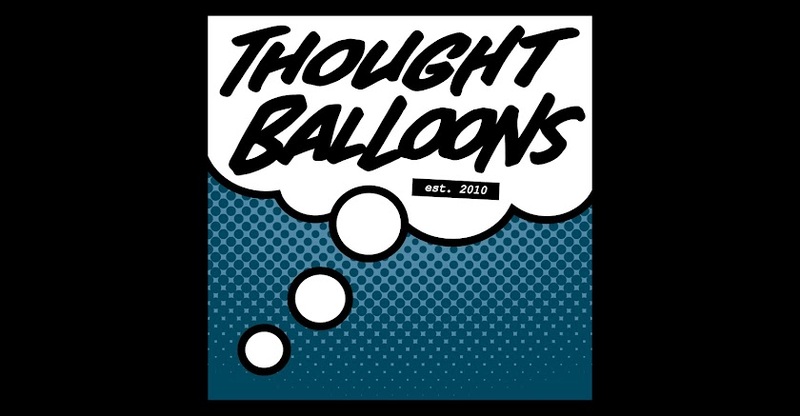 Thought Balloons - Creating Comics One Page At A Time: Why Spider Jerusalem? 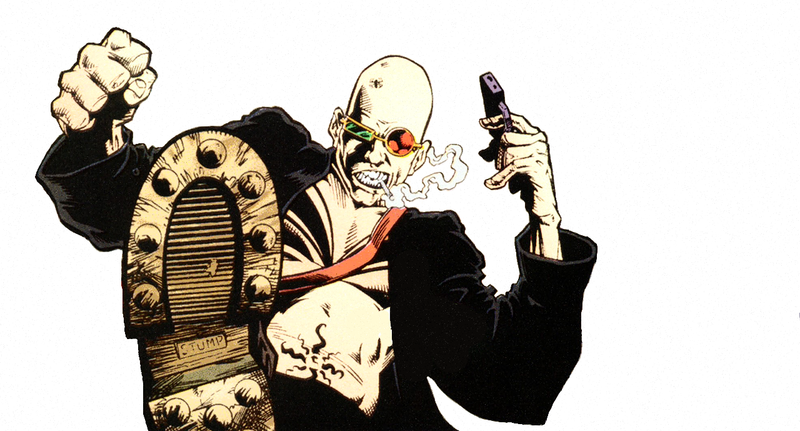 Because my introduction to TRANSMETROPOLITAN is completely the fault of Rich and Ethan at Comic Fortress in Somerville NJ (Thanx, guys - proof that the difference between local comic shop and GREAT local comic shop is the people who run it). Because this was also my first serious exposure to Warren Ellis, who frustrates me as a writer, because he consistently comes up with concepts that I couldn't come up with on my best days, and I love him for it. Because I felt like Warren Ellis wrote this series just for me. It feels personal, and heartfelt, and volatile, and completely over the top. 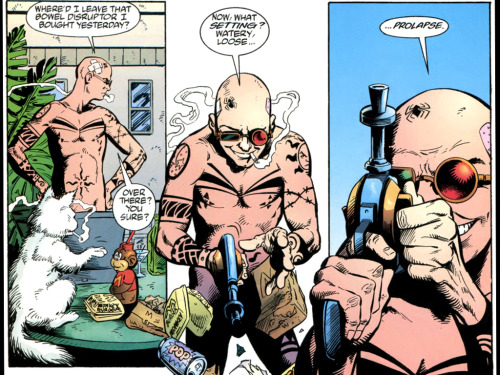 Because Spider Jerusalem is a hero. But he's not armed with superpowers or kevlar costuming. His calling is as a journalist. His weapon is the written word. His armour is the Truth. Because He's like Hunter S Thompson cast in Blade Runner (if Ridley Scott OD'd on Bill Hicks comedy specials, Ted Nugent hunting videos, and latex). Because BOWEL DISRUPTORS - perfect for shooting elected officials! Because Monkeyburgers, Bucket'o'Seal Eyes, the Chair Leg of Truth, Powdered Baby, and Air Jesus anti-grav sandals. Because Spider taught me that anger can be righteous, ignorance is an intolerable excuse, and blind acceptance is intellectually lazy. 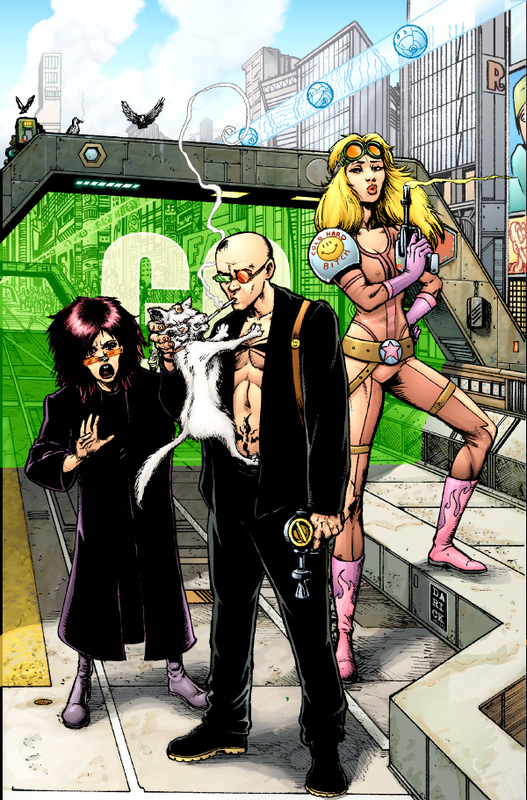 Because Spider Jerusalem, Warren Ellis, and TRANSMETROPOLITAN, is my personal example at how powerful the comics medium, and the written word, can be when used to say something beyond itself. Yeah, it's just a comic. But for me, it's Truth. ...and because I want a pair of live shades...please? Labels: R.A. Wonsowski, Spider Jerusalem, Why, Why?